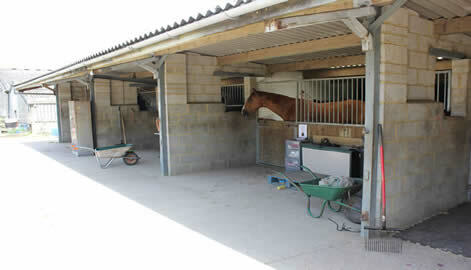 Loop Farm is located in a quiet, peaceful valley north of Lytchett Matravers. We have 40 stables. 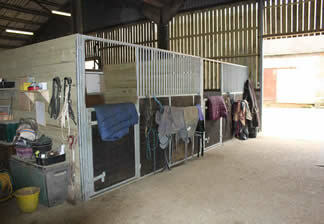 American Barns and our very popular own-design open front stables. Both types are well lit with good ventilation. There are over 50 paddocks for small groups or individual horses, all with mains water. .
Floodlit Arena with rubber and sand surface, which can be hired by non- resident horse owners. Storage for trailers and hay etc. If this webpage does not answer all of your questions, please do not hesitate to contact us for more information.